Kim I think this is so fabulous, I love how you added black toyour brush strokes. Thank you so much for sharing with us at CAS-ual Fridays! This technique is super cool! Love it! Thanks for joining us at CASual Fridays! This looks so neat! How did you get the dark stamping to stay on the brush strokes? Thanks so much for joining us on the Runway! How CREATIVE, Kim! 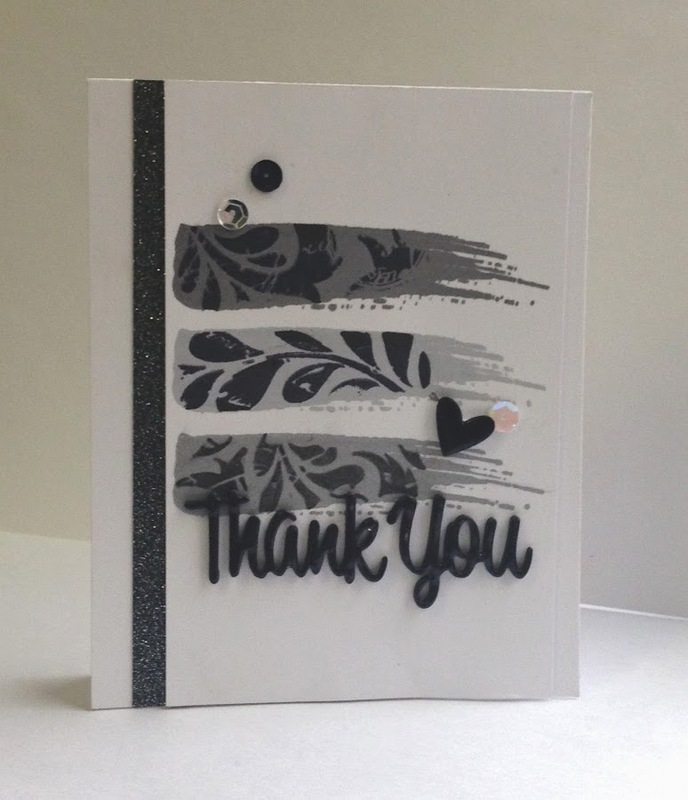 I love how you used the stamps and create this special design! That strip of glitter is awesome, too! Thanks so much for joining the fun with us at Runway Inspired Challenge!